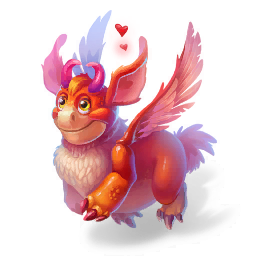 The dreamy Love Dragon always has its head in the clouds — its reputation of the most romantic dragon of them all is well-deserved. Its most distinct qualities are friendliness and capacity for love. Don't underestimate the power of love, however — this dragon's battle abilities are nothing short of stunning! How to Breed Love Dragon? Find out how to breed Love dragon with the How to Breed Calculator!